Island Home Under 350 with a POOL!! 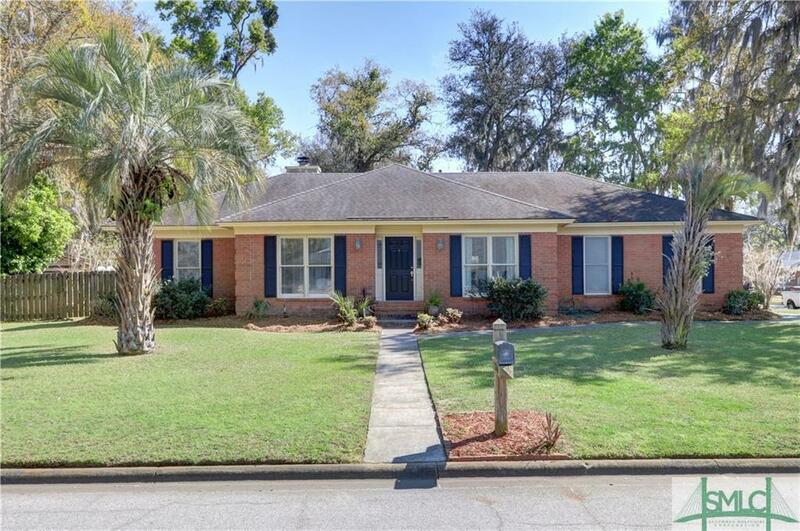 Four Bedroom All Brick Home Located in Desirable Palmetto Cove on Wilmington Island. Foyer Entrance to Formal Dining and Formal Living Room. Living Room Features Trey Ceilings, and a Gas Fireplace with Built in Book Shelves, Kitchen with Granite Counter Tops, Tile Backsplash and Breakfast Area Overlooking Pool. Split Floor Plan, Generous Master with Private Door Leading to Pool and Patio, Trey Ceilings, Dual Vanities, and Walk-in Closet. May Howard School District, Newer HVAC, Newer Water Heater!! 10 Minutes to Downtown Savannah and 10 Minutes to Tybee! !